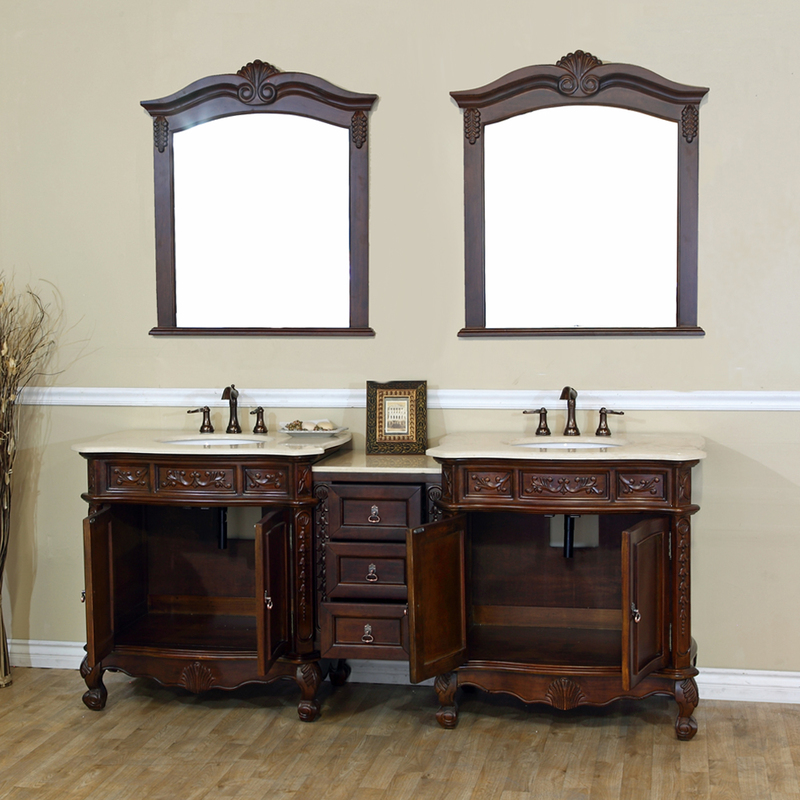 The Normandy Double Vanity is beautifully hand carved with a walnut finish and antique brass hardware, giving it a terrific antique look. 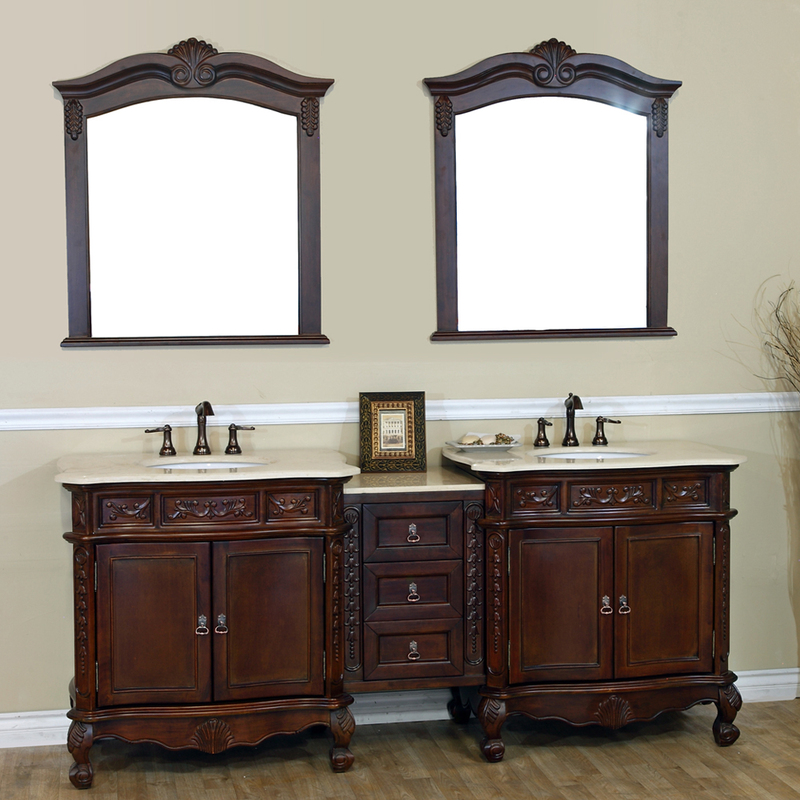 With its solid birch construction and water proof finish, this vanity has great looks that are designed to last. 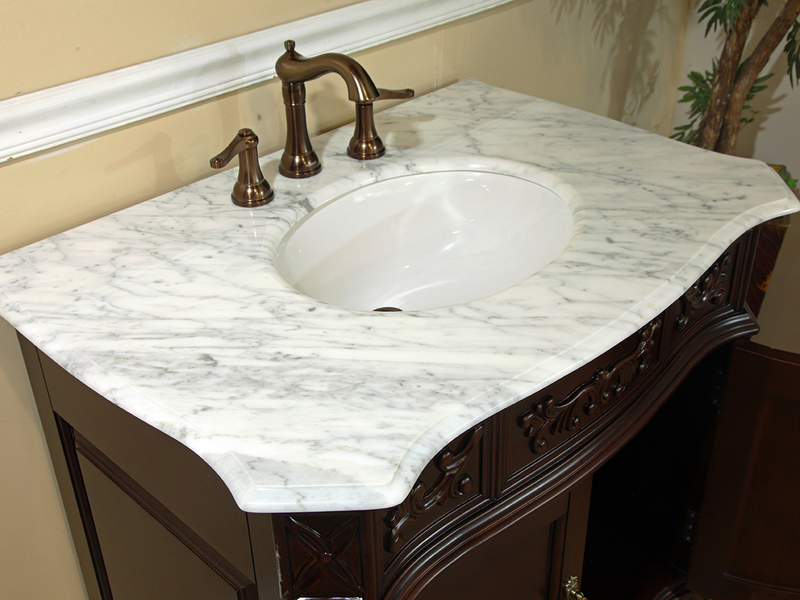 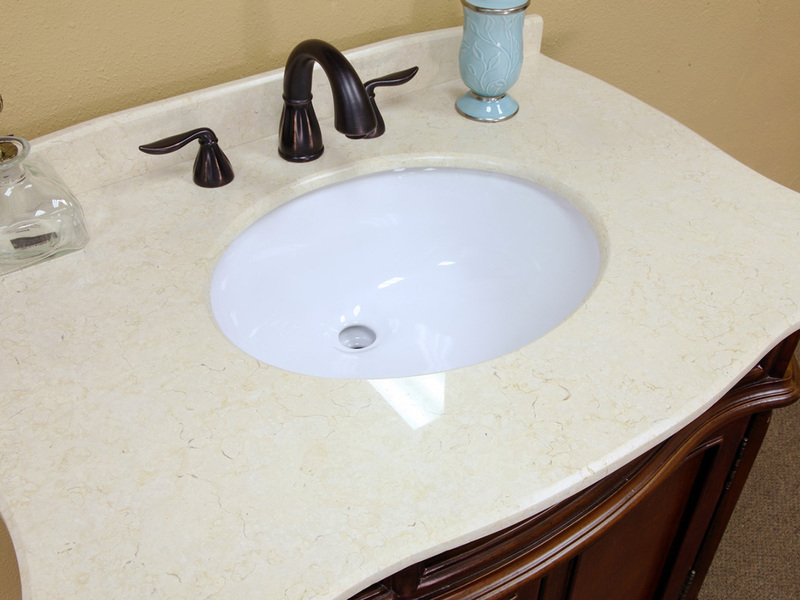 The twin vanity cabinets include a white cermaic sink and a gorgeous cream marble counter top. 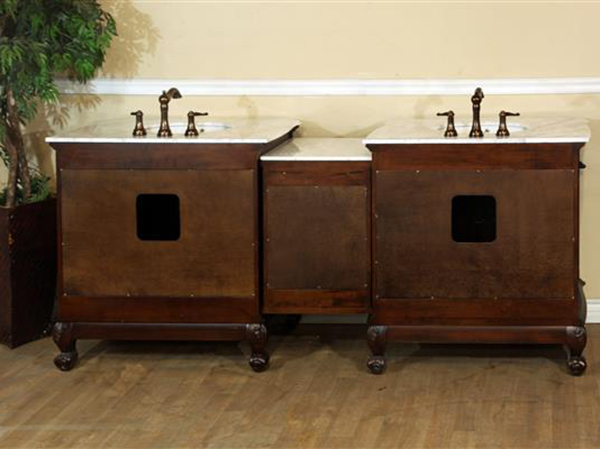 They are joined by a wonderfully detailed matching bridge that has three drawers with easy to open ball bearing glides. 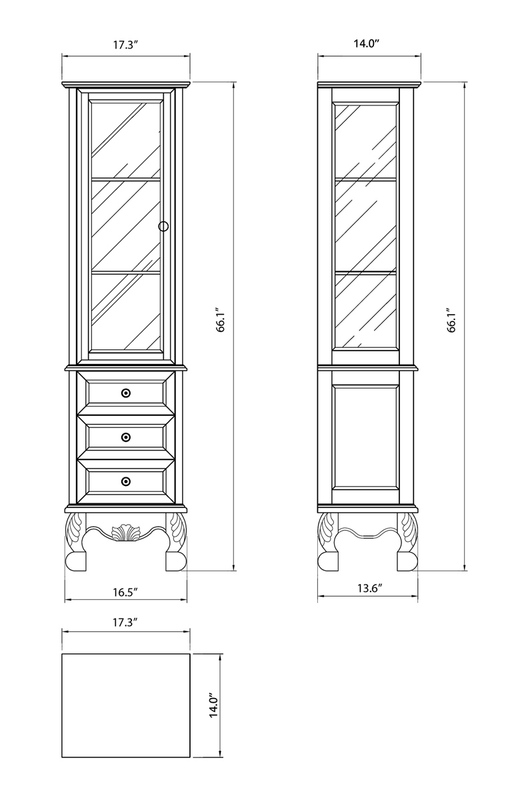 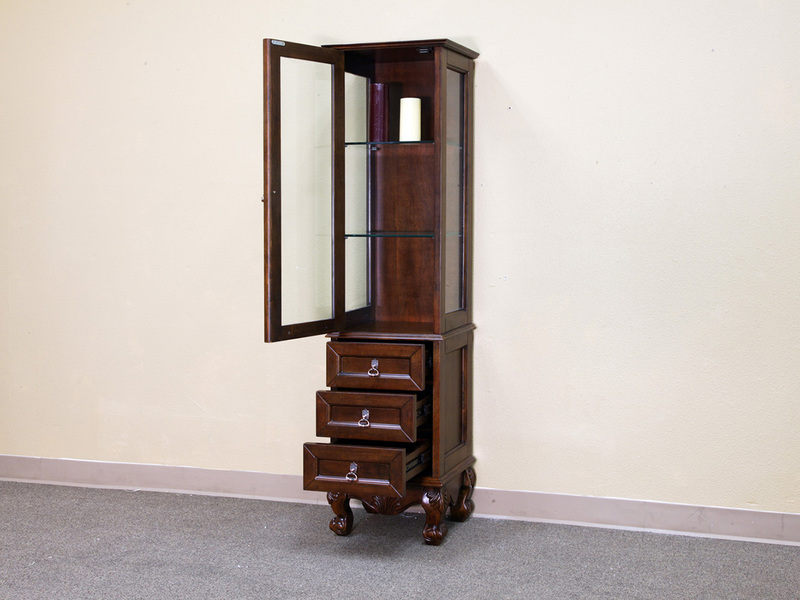 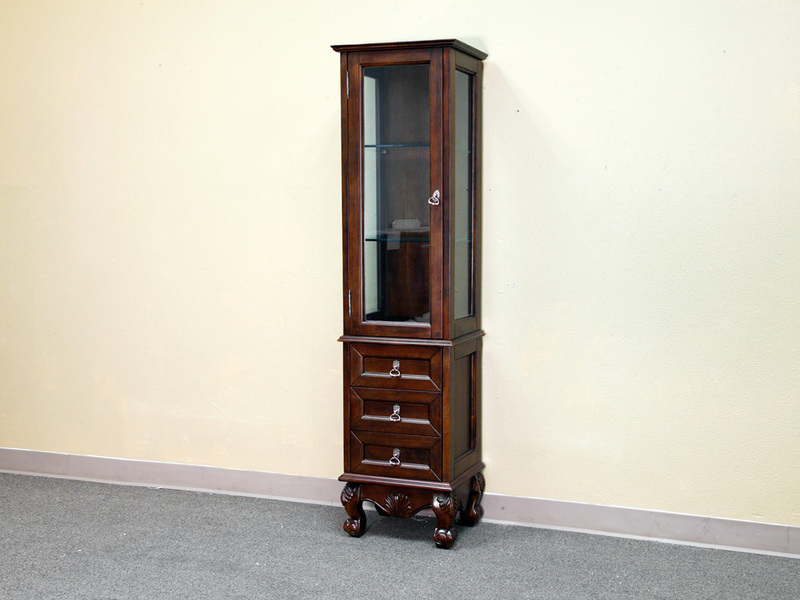 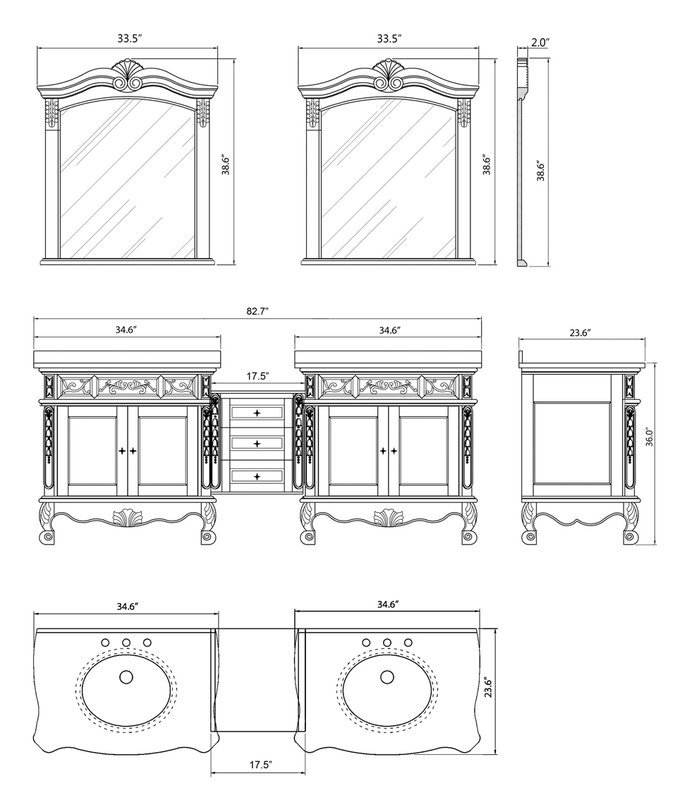 Optional matching mirrors and tower cabinet are also available with the same great antique look; see the drop-down menu for more details. 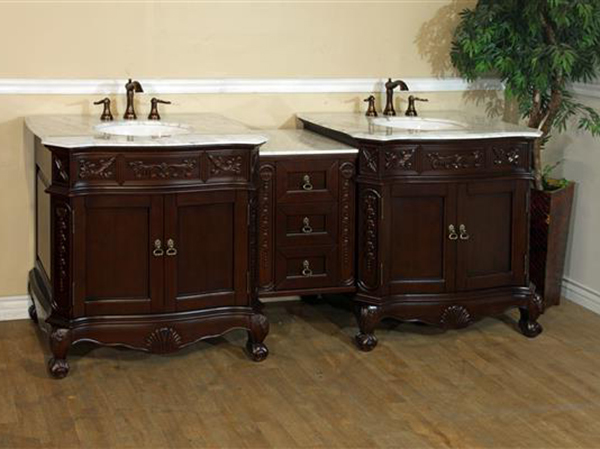 With such quality and detailed design, this vanity is sure to add elegance to any bathroom.